Conjugated Linoleic Acid (CLA), is a naturally occurring free fatty acid found mainly in dairy products and meat. Without CLA, some aspects of our metabolism may fail to operate efficiently. 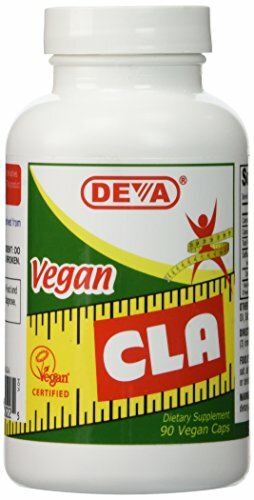 CLA is known to improve the ability of fatty acids to enter the muscle and connective tissue cell membranes where they can be burned for energy.DEVA Vegan CLA is 100% animal free, and guaranteed for purity, freshness and labeled potency. Remember all DEVA Products are 100% vegan, vegetarian and are certified by the Vegan Society, the non-profit organization that actually invented the word "vegan".